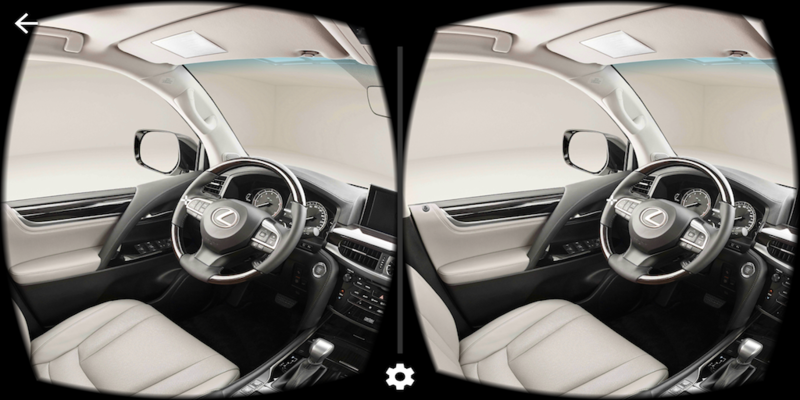 The project proposal was to develop a VR App to visualize the different interior color combinations of the new Lexus LX570. 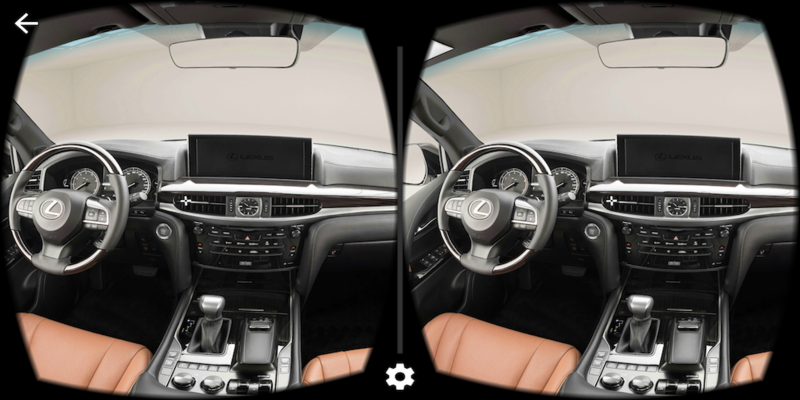 We worked with 30+ high resolution 360 panoramic images. Each showing a different interior design. 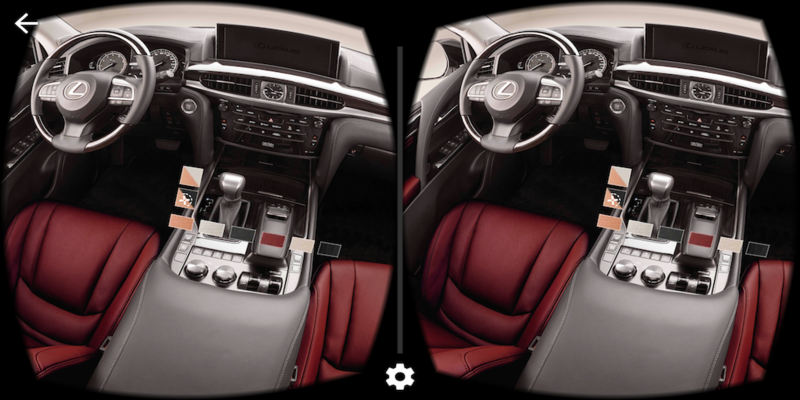 We develop a Google Cardboard App that allowed the User to view these 360 pano images in VR. We created a floating UI menu that allowed the user to browse with an auto-selecting gaze cursor the different interior combinations. 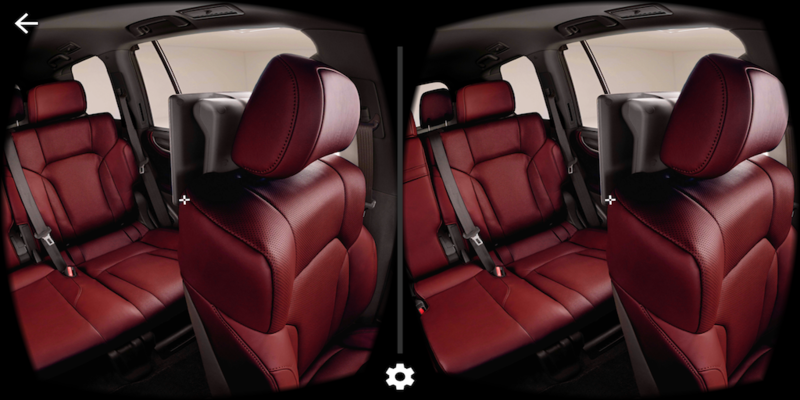 TreeView Studios is a Software Development and Content Creation studio specialized in Virtual Reality solutions. Located in Montevideo Uruguay, our Studio strives to become leaders in the Virtual Reality Revolution.